Consider the questions listed below. If you answer yes to three or more of the questions, you should speak with a bankruptcy lawyer right away. We can help. For a thoughtful, caring assessment of your situation and your options and for answers to your bankruptcy questions, contact our Miami bankruptcy law office today. 1. Do you pay over 20 percent interest on any of your debt? 2. Have you been served with legal papers, are you being sued, or are your wages already being garnished? 3. Are you receiving harassing calls from creditors? 4. Do you routinely spend more than you earn? 5. Is it difficult for you to see a way of getting out of debt? 6. Can you only afford the minimum payment required on your credit cards? 7. Do you panic when faced with an unexpected expense, such as a car repair? 8. Do you skip payments on some bills in order to pay other bills, transfer balances, or use cash advances on one credit card? 9. Have you experienced a change of employment such as a job change, loss of employment or loss of overtime that impacts your ability to keep the status quo? 10. Do you find yourself arguing with your spouse about money, or find that you are afraid to talk to your spouse about money at all? 11. 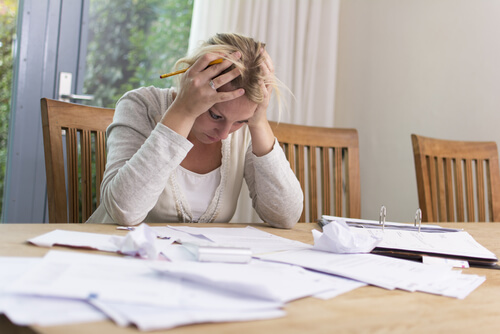 Are you thinking about filing for bankruptcy? 12. Do you buy necessary items, such as food and clothing, on credit? 13. Do you make regular payments without your balances going down? We build relationships with our clients. Our practice is centered on providing personalized service and representation in an atmosphere and culture of care. When good people have serious financial problems, they owe it to themselves and their families to consider bankruptcy. There is no reason not to take advantage of our free office consultation and personalized evaluation from an honest and caring bankruptcy lawyer. Visit our website at www.andresmontejolaw.com. Call us at (305) 817-3677 or email us at info@andresmontejolaw.com.